BALES OF LONGLEAF PINE STRAW MULCH ARE AVAILABLE FOR PICK-UP AT MAXWELL'S HARDWARE IN DOWNINGTOWN, PA (CHESTER COUNTY). Delivery and Installation is available in Pennsylvania, Delaware, Maryland, New York, New Jersey, Connecticut, District of Columbia and Virginia. Longleaf Pine Straw Mulch (aka Pine Needle Mulch) is an alternative to traditional hardwood bark mulches commonly found in the Mid-Atlantic, New England and Mid-West states. Longleaf pine needles are unlike common pine needles found in the Mid-Atlantic, New England and Mid-West states. Longleaf Pine Needles are grown and harvested in the Southeastern US. 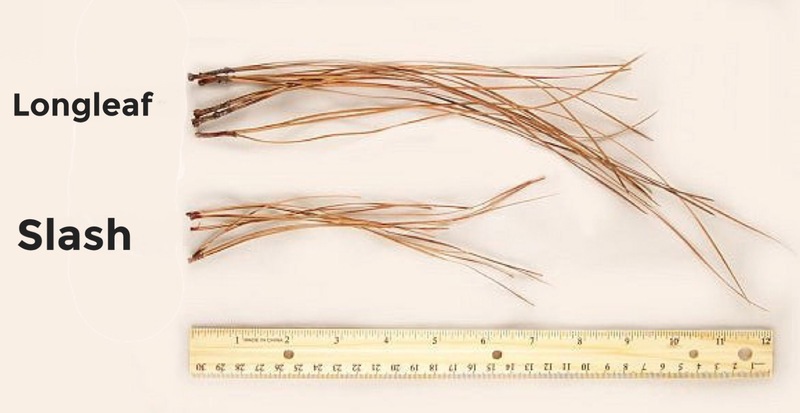 Longleaf needles are longer in length (8” to 14”) and individual longleaf needles are denser due to a larger needle circumference than native white pine needles that are commonly found in the Northeastern US.